In the last thirty years, the Board of Directors at Bank of America have announced a 2:1 stock split three times. As of this post, the last stock split was more than a decade ago, back in August of 2004 when the board declared a 2:1 stock split. 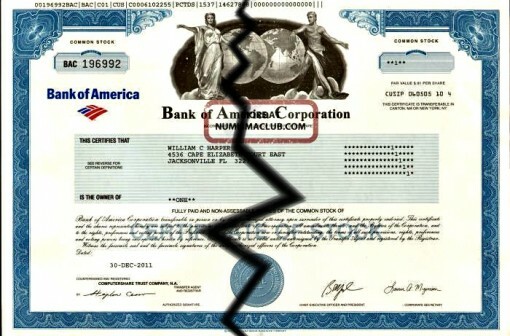 The stock split before that came in February of 1997 when Bank of America’s stock was worth $122.50. Again, that was a 2-for-1 split. Bank of America, the United State’s largest bank, is beginning to find their footing after the financial crisis of 2007-08. 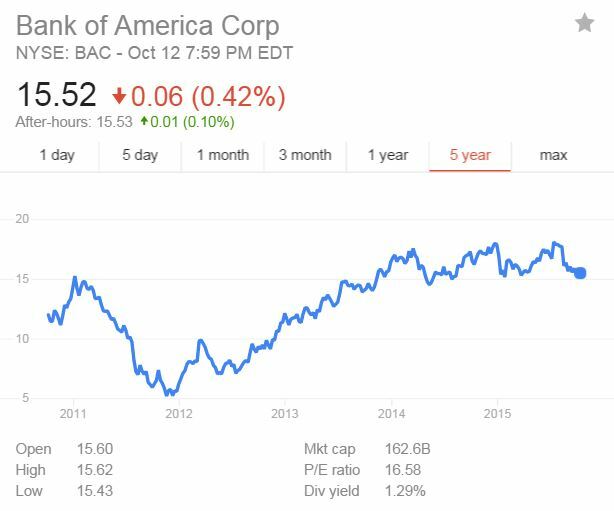 Over the last three years, BOA’s stock has steadied since hitting $5.17 back in 2012. The large bank is starting to increase their dividends – from a penny to five cents per share in 2014, with the next dividend increase set for 2016. However, it’ll be a while before BOA calls for another stock split.